Come experience the difference having us as your State Farm agent of choice makes. 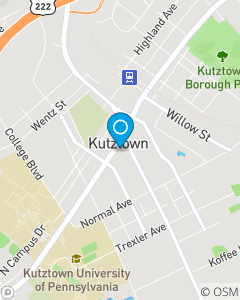 Our mission is to improve the lives of the people in Kutztown and surrounding communities by helping manage the risks of everyday life, recover from the unexpected, and realize their dreams. We are committed to a customer experience that exceeds your expectation. Everyone needs insurance, why not have it with someone you know who knows you. With over 60 years of Insurance and Financial Services experience my team and I are ready to serve you. We are passionate about helping you with all of your insurance and financial services needs. I am a Brandywine Heights graduate. I have been proudly employed by the State Farm Agent in Kutztown for over 30 years.